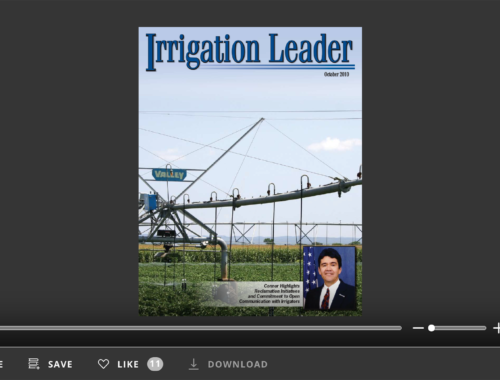 The number of challenges facing irrigation districts and other water suppliers continues to grow. Urbanization, aging infrastructure, invasive species, and limited water supplies are some of the most difficult. 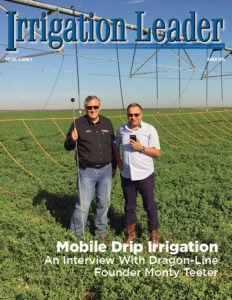 This issue of Irrigation Leader discusses many of those challenges and takes a look at the solutions developed by individuals, irrigation districts, and some private companies. 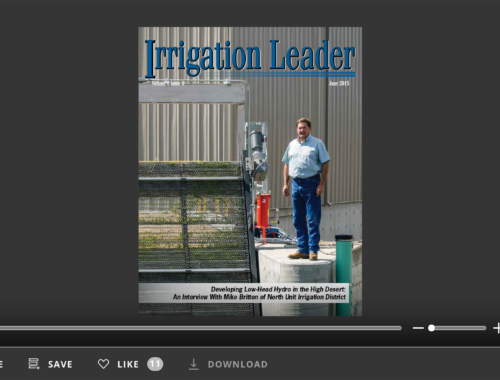 Our cover story, “Provo Irrigators Benefit from Canal Enclosure Project Targeting Challenges of Urbanization,” shows what can be done when strong leadership and local collaboration combine to face urbanization issues head on. Water is conserved, service improved, and, most importantly, lives are protected. Funding, always an issue, is also discussed in this article. Aging infrastructure also haunts many irrigation districts, as decades-old projects require extensive maintenance and upgrades. Mary Vandenbosch’s article on Montana’s St. Mary Project illustrates this challenge and demonstrates the value of diverse partners banding together to accomplish a common objective. While urbanization and aging infrastructure have long presented difficulties to irrigation managers, the influx of invasive mussel species represents a new challenge to the delivery of water to irrigators. Irrigation Leader looked to both Reclamation and HDR to provide insights from their efforts to help western water users mitigate the extensive problems mussels represent. Finally, as western states are increasingly forced to think creatively about water supply shortages, organizations in California and Colorado are proving the efficacy of marketbased solutions. 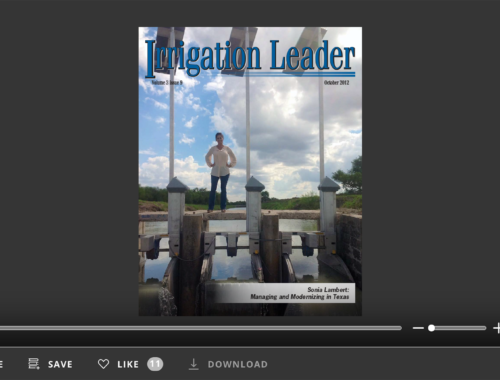 Our articles titled “Irrigators and Municipal Water District Cooperate to Form Water Transfer Partnership” and “Colorado Aims to Establish Water Bank to Combat Impact of Potential River Curtailment” describe collaborative efforts in those two states.